Cacti are easy to love despite their prickly attitudes. Puns are hard to avoid when talking about cacti. Here are the top five reasons I find them fascinating, and a link to a PBS video about growing cactus in MN. They have turned the idea of stems and leaves on its head. 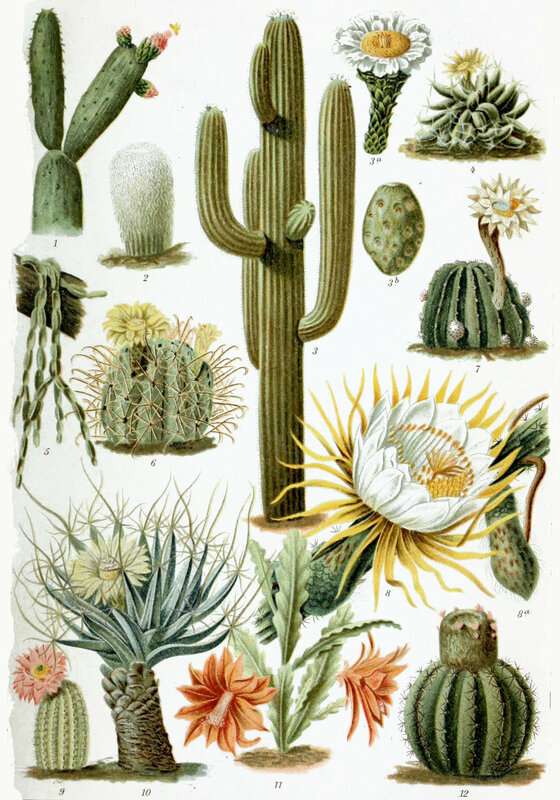 The fleshy green part of the cactus is the stem, and the spines are actually leaves. And the stem does the photosynthesis work that is normally done in the leaves of other plants, while the leaves just fend of predators and keep the plant a little cooler with the microshade they throw. The cactus method of getting photosynthesis done is custom designed for dry environments— half of the process takes place during the day when the sun is out, and the other half (which involves letting off moisture) takes place at night to minimize water loss. Cacti have bombastic, colorful flowers. Minnesota has three native cacti — pincushion cactus, brittle prickly pear, and plains prickly pear. All are found in the southwest part of the state.